Akeem Coston (born March 19, 1994), known by his performance pseudonym, Akee Fontane is an American rapper from Wilmington Delaware. He signed his first record deal in August of 2014, with Pure Luxury Ent. He credits his elder brother Keon for sparking the interest in music by putting a pen in his hand at age five. Akee was influenced early on by artists such as; Jay-z, Pac, and Biggie and continues to find inspiration in the talent of new contemporary rappers of today. Video of Akee Fontane at age 12, who used to be known as YoungAK, shows how through various rap battles he sharpened and refine his lyrical skills to a fine point- which allows him to express his unique point of view on any kind of track. Whether it be a party/club banger to an introspective and contemplative song, he recalls serious moments from his eventful life that run the gamut from being put out on the street at seventeen to carving out a place for himself in a city. Akee considers his passion for music, determination to learn at a fast pace, and good vibes his essentials for the long studio sessions, along with recent experiences from which he draws inspiration and material to create. 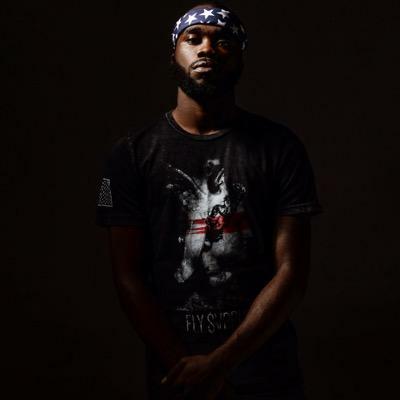 Recently, Akee penned a song titled “Aircraft” as he reminisced on all of the sky miles he racked up as his talent is begins to take him beyond Delaware’s borders on to other parts of the country. What he appreciates most about traveling is the warm receptions he receives from fans of his music and being able to share his love and passion for his art in person and feeding off of their energy. As a result, Akee works to give them everything he has in him. With the momentum of his newly inked deal with Pure Luxury Ent and the coming release of his Can’t Be Young forever mixtape Akee is poised to make some waves. Currently, he is heavily focused on promoting his new single “We Winnin” Produced by Starfleet Musik. The motivation his son provides him combined with memories of outlasting the cold winters that galvanized his mettle at a young age and instilled inside Akee Fontane a toughness that will carry him to success in the music industry. Please sure to comment and follow him on Twitter.